and trailhead for numerous treks as well as a great countryside ideal for adventure sport lovers. providing a tranquil atmosphere of the Himalayas for those who are looking for solitute. who is supposed to have survived when the world was drowned in Flood. the area of Manali is sacred and Hindus treat the temples over here as pilgrimage. is located in the middle of a forest called the Dhungiri Van Vihar. Manu who meditated when he came in this area. Tibetan temple to the South of the bus stand and also a small handicrafts centre. austerities to get Pashupata Ashtra or weapon from Lord Indra. a list of the martyrs killed in occupation of Tibet of 1987 to 1989. 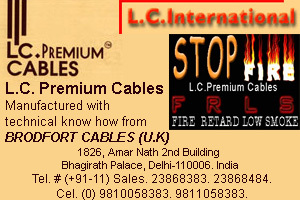 Manali - The nearest airport is Bhuntar, 52 km south of Manali. Old Manali: The old Manali area is located some 3-km from the present day Manali. and orchards where the livestock move at will. 12 km away Manali town, situated on the Lahaul-Spiti Leh Highway. sixty metres deep and just a few metres broad. towering deodhars and also leads to a boating pond. Tibetan Market and Mall: The Tibetan Market is an interesting cluster of shops. Nice to browse around for knick knacks, handicrafts and imported goods. are easily available from the Mall for local sightseeing or excursions. 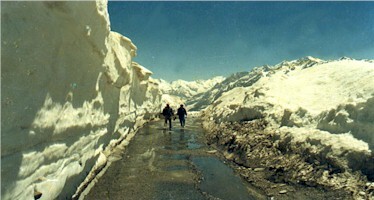 climb to the Rohtang Pass, at an altitude of 2501m. mountains. Here one sees the majesty of the mountains at its height and splendour. pyramid of rock, snow streaked and snow crowned. views of the snow-clad mountains and the glaciers all around. Solang is the venue for paragliding and the annual skiing courses. Marrhi - 35 km from Manali, is famous for its natural beauty. snow is available throughout the year. "shikara" style and nearby is the old and interesting Devi Sharvali Temple. Naggar Castle - 22 kms from Manali, this is the old capital of Kullu. The castle was built by Raja Bhosal. all around. Naggar is very serene and picturesque. this temple is the venue for an annual fair held during May. of 1,982 meters (6,200 feet), are the natural sulphur springs. The village itself is perched on a steep hillside across the river Beas. Tibetan Monastery - This is new and colorful. A pleasant place to visit. Vyas performed "Tapa" here during the Mahabharat times. Parvati river co-exists with boiling water side-by-side. The hot water springs are reputed for their healing properties.